Flags are now flying at half-mast in front of the Nunavut legislative building in Iqaluit to honour the late Joe Enook, MLA for Tununiq and speaker of the Nunavut legislative assembly. After a short illness, Enook, 61, died Friday, March 29, at an Ottawa hospital. 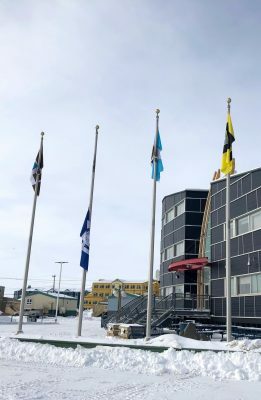 By the side of the legislative building, another flag also stands at half-mast, that of the Hamlet of Pond Inlet, the community Enook had represented as MLA since winning the seat in a 2011 by-election. Enook was acclaimed as speaker on Nov. 17, 2017, just before the opening of Nunavut’s fifth legislative assembly. 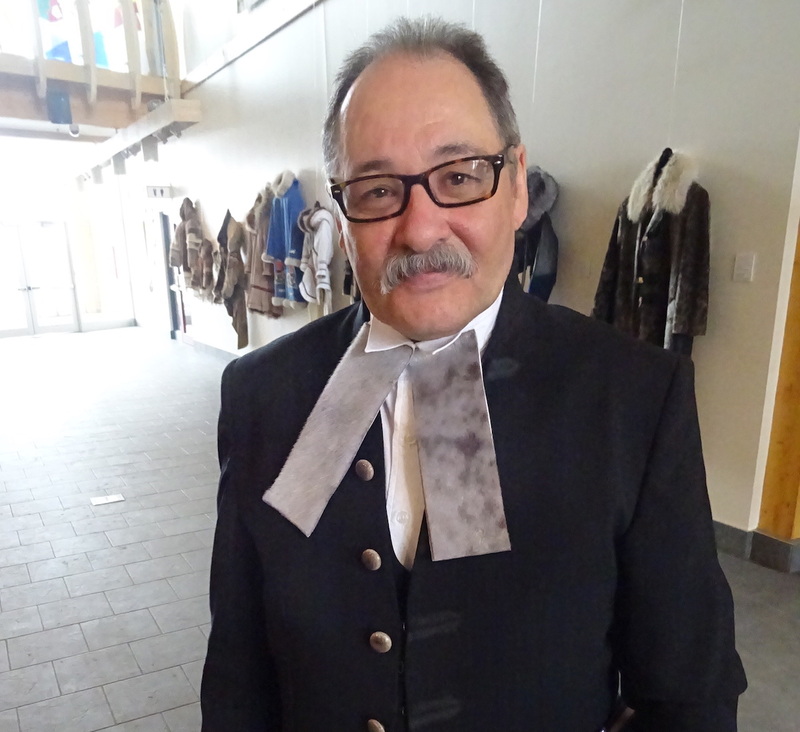 From then on, Enook became a familiar figure to many in Nunavut and beyond who watched the proceedings of the legislature online and on television. As speaker, during a period which brought numerous legislative upheavals, Enook was a serene figure, who kept order in the chamber. He navigated the censure of a cabinet member and a non-confidence motion for the premier as well as the election of a new premier and cabinet last June. Asked during the spring of 2018 how he managed to remain so calm, Enook said he had served on many boards and with so many organizations, that this experience gave him a clear idea idea of how a speaker should behave. Prior to Enook’s first election to the legislative assembly in 2011, he had served as the Nunasi Corp.’s vice-president of Nunavut operations from 2000 to 2011. 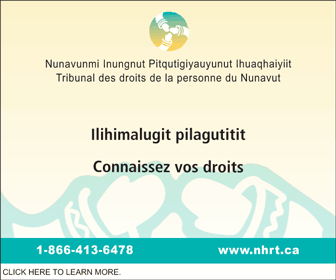 Enook previously worked as executive assistant to the president of Nunavut Tunngavik Inc. from 1994 to 2000. 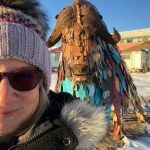 Enook also served as chair of the Baffin Divisional Board of Education and as a member of the Pond Inlet Education Council. Enook was re-elected to represent Tununiq for a third time in the general election of Oct. 30, 2017. During the previous legislative assembly, he had served as the deputy speaker and chair of the committee of the whole. 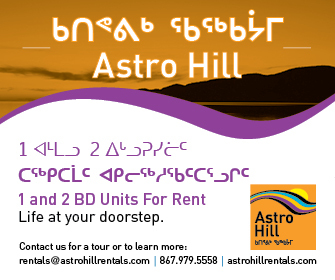 For a period in 2014, Enook also found himself representing two constituencies after the expulsion of former Uqqummiut MLA Samuel Nuqingaq. As an MLA, Enook was vocal, raising issues that went beyond his constituency, such as the need for more housing and better infrastructure. In 2015, a shortage of sewage collection trucks in Pond Inlet saw hamlet officials declare a state of emergency after they found themselves down to only one operating sewage truck to serve the community of about 1,500 people. That left some houses with overflowing sewage, and some without running water because once a sewage tank is full, the water shuts off. Speaking in the legislature, Enook said old equipment and infrastructure could put Pond Inlet—and other Nunavut communities—into dire straits in the future. 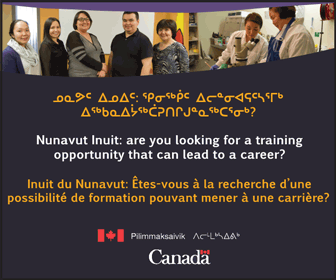 “I would like to encourage the government … to work with our community to have a long-term plan to make sure our community infrastructure is new, so that this won’t be experienced by other communities in Nunavut,” Enook said. On Saturday, on news of Enook’s death on the previous evening, many, including Iqaluit Mayor Madeleine Redfern and Northern Affairs Minister Dominic LeBlanc, expressed condolences to his family on social media. Deputy Speaker Simeon Mikkungwak also issued the following statement, noting how “Speaker Enook served his constituents with passion, and represented our institution with dignity. Gracious as always, Enook said his final words in the legislature March 12, at the end of long spring sitting, thanking everyone involved with the sitting, from the legislative staff and interpreters to the pages. “As we prepare to go to our home communities, I hope that we have safe travels and last but not least, our biggest gratitude to our spouses, who have provided continuous support to us,” he said. Condolences to the immediate family, and to all Nunavummuit on this loss of a great son of the soil.Rest in peace dear Joe.